It’s heart pumping, it’s muscle quivering but BECORE is more than just a brilliant workout. It’s all about feeling good and finding the fun in movement, the passion for health and being part of our community. The Megaformer class is a 50 minute body-transforming full body workout. This class is non-impact yet high intensity and simultaneously incorporate cardiovascular and resistance training. Slow and controlled full body movements with constant tension to work your muscle fibers to failure, will force them to rebuild a more sculpted, leaner and stronger you! 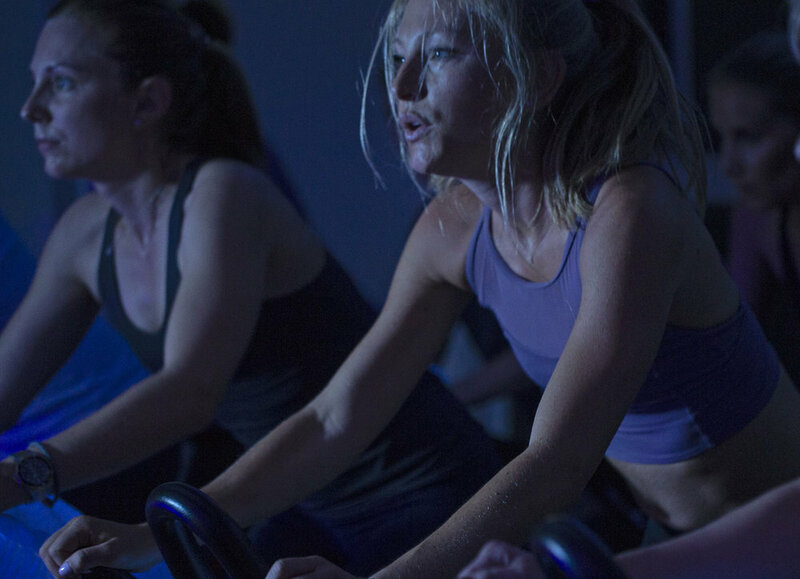 Our Cycle classes are different than a traditional spinning class - along with a strong focus on athletic performance, we ride as a pack to the rythm of the music. Powerful 45 minutes that combines high intensity cardio, strength training and rhythm-based choreography. It's all about the experience rather than the workout - riding together to the beat and letting yourself go! Our Barre class offers the perfect combination of graceful yet energetic movements that enhance flexibility, improve balance and challenge the core. With elements of ballet, pilates and yoga each class is 50 minutes of continous flow that strengthens, lengthens and fine tunes to sculpt your body like a ballerina’s. It's up tempo and fun, and you will experience a workout that delivers immediate results! Megaformer + Boxing = MEGABOX! This is the ultimate combo of endurance, strength and cardio. We start class working our core and legs on the Megaformer, then finish off with 30 minutes of boxing for upper body and cardio. So much fun and so, so challenging!